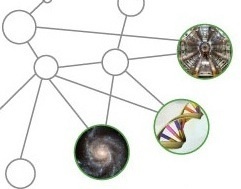 Our collaborators are from across the science disciplines, ranging from theoretical astrophysicists to computational and experimental bioscientists. 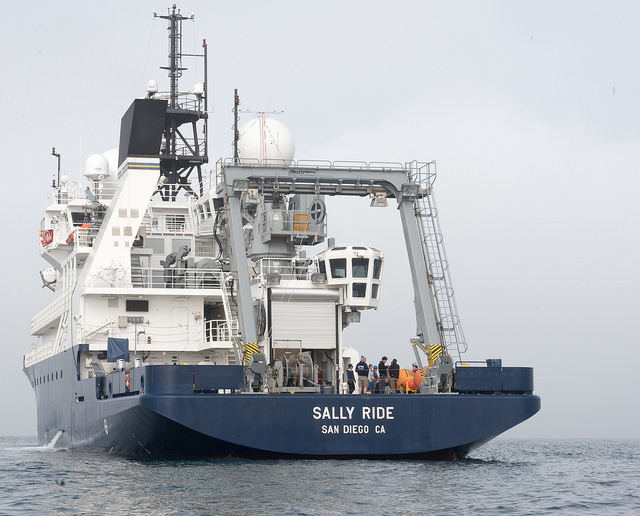 The capabilities we build are driven by the needs of contemporary computational, observational, and experimental science projects central to the mission of the DOE Office of Science. Our portfolio includes projects in basic and applied research, advanced software development, and deployment to the scientific community. The science challenges we are helping to understand include: understanding carbon interactions between the atmosphere and the biome, interpreting results from trillion-particle space weather simulations, detecting extreme weather events in climate models, locating halo particles in accelerator models, understanding organism function, and detecting blobs in fusion experiments while the data is in transit. DST member Sean Peisert presented at a meeting of the National Academies' Committee on Science, Engineering, Medicine, and Public Policy (COSEMPUP) about strategic use and combination of computer security and privacy-preserving techniques to overcome certain data-sharing barriers, and ways in which such techniques serve as a means to facilitate, enhance, and create incentives for increased data sharing in the sciences - thereby accelerating data-driven scientific discovery. 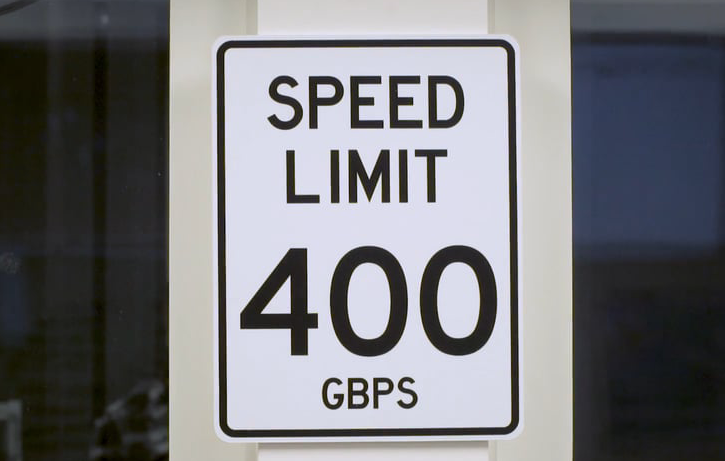 Read more in LBNL CS News. First held in 1986, ISC High Performance is the oldest conference and networking event for the high performance computing (HPC) community. It offers a five-day technical program focusing on HPC technological development and its application in scientific fields and commercial environments. 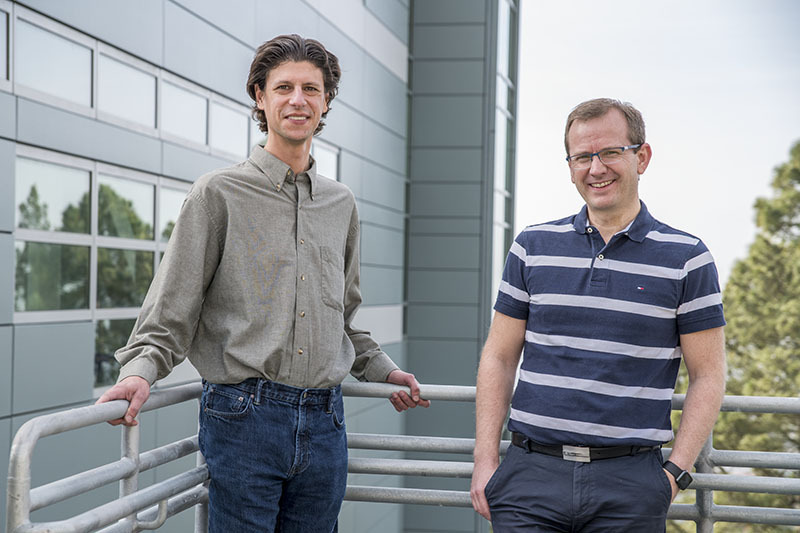 Read more in Today at Berkeley Lab and LBNL CS News. Data Science and Technology Department (DST) personnel along with National Energy Research Scientific Computing Center (NERSC) personnel have been developing new ways of developing metadata for science data. As scientific datasets increase in both size and complexity, the ability to label, filter and search this deluge of information has become a laborious, time-consuming and sometimes impossible task, without the help of automated tools. Read more in the lab newspaper. DST's Oliver Ruebel along with Andrew Tritt and Kristofer Bouchard organized the fifth Neurodata Without Borders: Neurophysiology (NWB:N) project hackathon. Thirty-one neuroscience experts from across the country came to Lawrence Berkeley National Laboratory (Berkeley Lab) on April 26 and 27 to participate in the hackathon. The event was organized in close collaboration with UC San Francisco’s Loren Frank and Eddie Chang and the broader Neurodata Without Borders (NWB:N) community. Read more at the CS site. Read more at the ACM Award site. The Department of Energy’s National Nuclear Security Agency (NNSA) is searching for innovative algorithms to detect non-natural radiation sources in urban environments, which has important implications for national security and environmental remediation. So NNSA is taking a cue from academia, as well as companies like Netflix and Google, and hosting a data analytics competition. NNSA turned to researchers and engineers in the Lawrence Berkeley National Laboratory’s (Berkeley Lab’s) Computational Research (CRD), Nuclear Science (NSD) and Information Technology (IT) divisions to help build a Kaggle-inspired platform. Cholia notes that the Berkeley Lab-developed platform includes a user-friendly web portal where competition hosts can upload datasets and setup a competition. In fact, the system can host several competitions at once. Competitors can download that dataset, perform their analysis and upload their results. The system will then score the techniques and update a public scoreboard so that the competitors can see where they stand. Each user can submit a number of techniques during the competition to try to improve their score. Development of the portal included key contributions from Hamdy Elgammal (CRD), Yeongshnn Ong (CRD), Kai Song (IT), Krishna Muriki (IT) and Val Hendrix (CRD), who worked with NSD staff to build a robust and reusable platform. Read more at the CS News site. "The thousands of substations that are nodes in North America's electrical grid receive high-voltage energy from transmission lines that originate at power plants and step down that voltage so it can enter local distribution networks to power homes and businesses. Although distributed in nature, grid operators worry that the loss of just a few critical substations could trigger an outage that cascades across a region, potentially crippling a major urban center." "Against those background events, a team of researchers working at the U.S. Energy Department's Lawrence Berkeley National Laboratory completed work earlier this year on a project to design and implement a tool they say can detect cyberattacks and physical assaults on power distribution networks." Read more in IEEE Spectrum Energywise Blog. "The 1996 Health Insurance Portability and Accountability Act (HIPAA) is best known for preserving insurance coverage for employees who change or lose their jobs. But the law also includes a Security Rule and a Privacy Rule that protect confidential healthcare data for consumers. "... Lawrence Berkeley National Laboratory (LBNL) computer scientist Sean Peisert and Energy Sciences Network (ESnet) researcher Eli Dart and their collaborators outline a 'design pattern' for deploying specialized research networks and ancillary computing equipment for HIPAA-protected biomedical data that provides high-throughput network data transfers and high-security protections." Read more in Science Node. The UC National Laboratory Fees Program targets funding toward strategic areas of research to address key challenges faced by both the state of California and the nation. For 2018, the program invested more than $25 million to seven research teams focused on climate science, cybersecurity, and national security through the social sciences. Berkeley Lab is a co-recipient of four awards, including one for a cybersecurity project in Berkeley Lab's Data Science and Technology Department — from the University of California National Laboratory Fees Research Program — called, "UC-Lab Center for Electricity Distribution Cybersecurity," which is a partnership between UC Riverside, UC Irvine, UCLA, UC Santa Barbara, Lawrence Livermore, and the Berkeley Lab. Read more in Today at Berkeley Lab. Launched in 2015, the three-year project is now moving into the tech transfer stage, according to project lead Sean Peisert, a computer scientist in Berkeley Lab’s Computational Research Division and a cybersecurity expert. In addition to receiving funding support from the Department of Energy’s Cybersecurity for Energy Delivery Systems (CEDS) program in the Office of Electricity Delivery and Energy Reliability, the team has been working closely with key industry partners, including EnerNex, EPRI, Riverside Public Utilities and Southern Company. The DST Scientific Data Management group has been working with NERSC personnel on advancements in HDF5. In particular, many of these advancements are designed to enable scientific data management in the exascale era. In this podcast, Suren Byna and Quincey Koziol discuss prepping HDF5 – one of the most parallel I/O libraries for high-end supercomputing systems – for exascale use. Read more in the Berkeley Lab Newscenter. 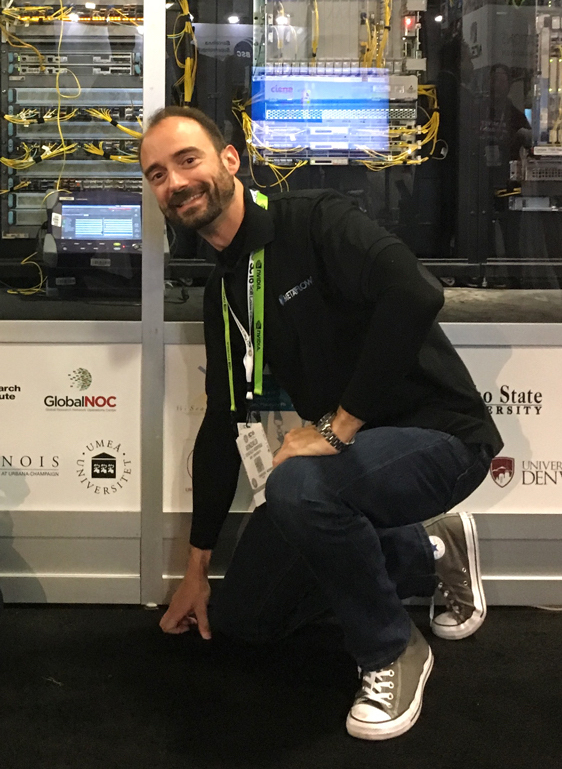 DST's Sean Peisert assumed the role as Chair of the IEEE Technical Committee on Security and Privacy (TCSP), on January 1, 2018. The TCSP has more than 2,000 members worldwide and oversees the IEEE Symposium on Security and Privacy, the flagship academic computer security conference with over 600 attendees annually; the IEEE European Symposium on Security and Privacy, the IEEE Computer Security Foundations Symposium, and the IEEE Secure Development Conference. Dr. Peisert's term as chair runs January 1, 2018–December 31, 2019, and follows a two-year term as vice chair and chair-elect. Previously, he was general chair of the 36th IEEE Symposium on Security and Privacy, in May 2015. Neurodata Without Borders is a consortium of researchers and foundations with a shared interest in breaking down obstacles to data use and sharing. The group ultimately aims to standardize neurophysiology data on an international scale to ensure the success of brain research worldwide and accelerate the pace of discovery. It was initiated by the Kavli Institute in mid-2014 in the wake of the Brain Initiative announcement. 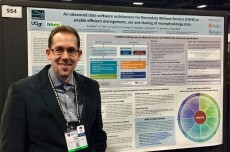 The 2.0 software version was developed by Oliver Ruebel (Data Science and Technology Department) and Andrew Tritt(Computer Science Department), in close collaboration with Kristofer Bouchard, also of Berkeley Lab, Loren Frank and Eddie Chang (UCSF), and the broader Neurodata Without Borders (NWB) community. The beta update was announced earlier this year and the team presented a poster of their work at the 2017 Society for Neuroscience meeting in Washington D.C. last month. Read more at the CS web site. A common staple of scientific work on HPC systems is a workflow (series of steps and programs). These workflows can be complex and achieving efficiency is often ellusive. Lavanya Ramakrishnan and Gonzalo Rodrigo of the Data Science and Technology Department have released new software that allows HPC scheduling systems to automatically address these issues. The software is the result of a two-year collaboration between staff in the lab’s Data Science and Technology Department. and the Distributed Systems Group at Umeå University in Sweden. Read more at the CRD web site. Read more at the LBL Director's Awards web site. Like other sciences, medical research is generating increasingly large datasets as doctors track health trends, the spread of diseases, genetic causes of illness and the like. Effectively using this data for efforts ranging from stopping the spread of deadly viruses to creating precision medicine treatments for individuals will be greatly accelerated by the secure sharing of the data, while also protecting individual privacy. In a paper published Friday, Oct. 6 by the Journal of the American Medical Informatics Association, a group of researchers led by Sean Peisert of the Department of Energy’s (DOE) Lawrence Berkeley National Laboratory (Berkeley Lab) wrote that the Science DMZ architecture developed for moving large data sets quick and securely could be adapted to meet the needs of the medical research community. As part of its 40th anniversary celebration DOE highlighted DST's FastBit technology developed in the Scientific Data Management group. The 40 Years of Research Milestones included FastBit and cited John Wu's paper from 2005. Read more in the Berkeley Lab Today. As part of the Department of Energy's (DOE's) commitment to building cyber-resilient energy delivery systems, a new project led by Lawrence Berkeley National Laboratory (Berkeley Lab) will develop tools to detect and counter certain types of cyber attacks on the grid. The project has been awarded up to $2.5 million in funding over three years by DOE, one of 20 projects for cybersecurity on the grid announced recently. How is computer security different in a high-performance computing (HPC) context from a typical IT context? ... This article focuses on four key themes surrounding this issue. HPC security article in Communications of the ACM. Three DST members Bin Dong, Devarshi Goshal, and Gonzalo Rodrigo presented their work on scientific data processing, workflow management and scheduling at the ACM International Symposium on High-Performance Parallel and Distributed Computing (HPDC) in Washington D.C.. on June 28 2017. The ACM HPDC is the premier annual conference for presenting the latest research on the design, implementation, evaluation, and the use of parallel and distributed systems for high-end computing. This was a competitive year, with a paper acceptance rate of 19%. Dong, B., Wu, K., Byna, S., Liu, J., Zhao, W. and Rusu, F., 2017. ArrayUDF: User-Defined Scientific Data Analysis on Arrays. Ghoshal, D. and Ramakrishnan, L., 2017, June. MaDaTS: Managing Data on Tiered Storage for Scientific Workflows. Rodrigo, G.P., Elmroth, E., Östberg, P.O. and Ramakrishnan, L., 2017, June. Enabling Workflow-Aware Scheduling on HPC Systems. Gunther Weber of the Data Science and Technology Department (DST) was among the authors of “Nested Tracking Graphs,” which won the Best Paper award at EuroVis 2017. EuroVis is an annual international visualization symposium which was held June 12 - 16 in Barcelona, Spain this year. 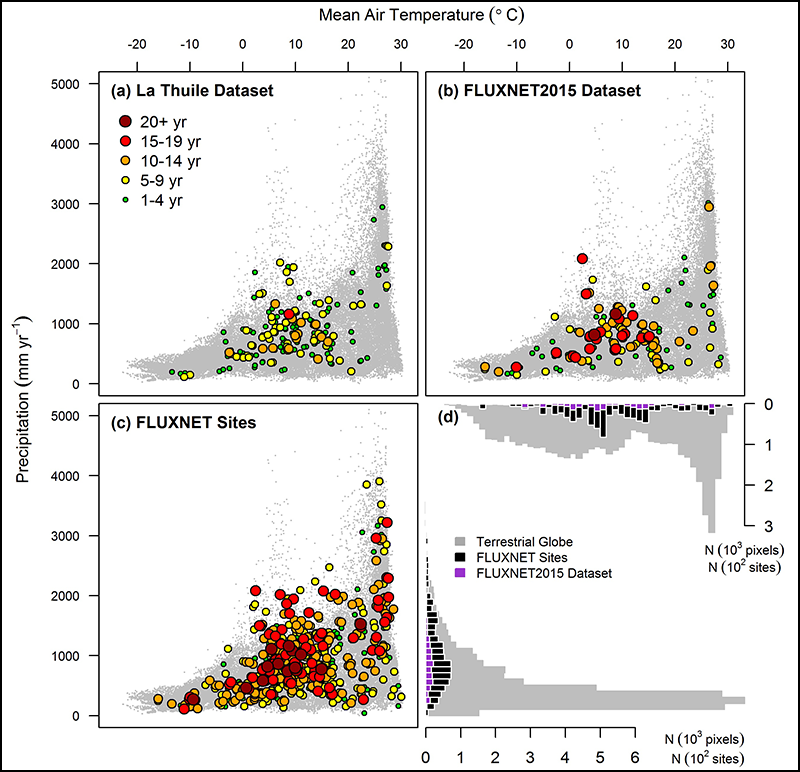 FLUXNET2015 — a new data set to keep a sharper eye on land-air exchanges. The latest update of the longest global record of ecosystem carbon, water, and energy fluxes, features improved data quality, new data products, and more open data sharing policies. DST's own Gilberto Pastorello was the lead author on the article. Data Science and Technology postdoc Gonzalo Rodrigo while at Umeå University in Sweden developed new techniques and tools to manage high performance computing systems more efficiently. This in an effort to comply with the increasing demand to handle large amounts of data within research and allowing for advance simulations. In February Lab scientists Daniela Ushizima, of the DST Department, and Teresa Williams took their first trip to Africa as part of a delegation organized by TechWomen, a unique mentoring and exchange program funded by the U.S. Department of State and administered by the Institute of International Education. The trip was eye opening and hugely inspirational for the women, both personally and professionally. "The Open Science Cyber Risk Profile is a bridge between the language of the domain scientist and the language of the information security professional." The Fluxdata Team (including Gilberto Pastorello, You-Wei Cheah, Megha Sandesh, and Deb Agarwal from DST) has released the final update of the FLUXNET2015 dataset. To learn more about the dataset, visit https://fluxnet.fluxdata.org/. "The 'Learning from Authoritative Security Experiment Results (LASER)' workshop series was established in 2012 with the purpose of publishing results for 'properly conducted experimental (cyber) security research, including both successful as well as unsuccessful experiments.' [This article] discusses the importance of failed experiments and evidence-based approaches in cybersecurity.'" Today, the group is releasing its draft Open Science Cyber Risk Profile (OSCRP) and inviting comment from the research community. The OSCRP is designed to help principal investigators and their supporting information technology professionals assess cybersecurity risks related to open science projects. The project jointly led by LBNL and LLNL, Threat Detection and Response with Data Analytics, is part of a $220 million, three-year Grid Modernization Initiative launched in January 2016 by the Department of Energy to support research and development in power grid modernization. The goal of this project is to develop technologies and methodologies to protect the grid from advanced cyber and threats through the collection of data from a range of sources and then use advanced analytics to identify threats and how best to respond to them. Specifically, the project team hopes to be able to distinguish between power grid failures caused by cyber attacks and failures caused by other means, including natural disasters, normal equipment failures and even physical attacks. Two years ago, Lawrence Berkeley National Laboratory researchers developed OpenMSI - the most advanced computational tool for analyzing and visualizing mass spectrometry imaging (MSI) data. Last year, this web-available tool was selected as one of the 100 most technologically significant new products of the year by R&D Magazine. Now, OpenMSI has been licensed to support ImaBiotech's Multimaging technology in the field of pharmaceutical and cosmetic research and development. The Multimaging platform essentially allows researchers to combine and overlay different image files that have been acquired from different imaging techniques - like qualitative MALDI imaging, staining and immune staining—to increase confidence in data sets. To help researchers overcome these challenges, two Berkeley Lab researchers - Oliver Ruebel of the Computational Research Division (CRD) and Ben Bowen of the Environmental Genomics and Systems Biology (EGSB) Division with support from the National Energy Research Scientific Computing Center (NERSC), conceptualized and developed OpenMSI. This work was part of a larger effort at Berkeley Lab to extend advanced computational techniques to science areas (and scientists) that haven’t benefited from them in the past. The tool, which makes highly optimized computing technologies available to researchers via a user-friendly interface, was born from the Lab's Integrated Bio-imaging Initiative, and initially developed with funds from NERSC and the Laboratory Directed Research and Development (LDRD) Program at Berkeley Lab. NERSC is a DOE Office of Science User Facility. Because OpenMSI leverages NERSC's resources to process, analyze, store, and serve massive MSI datasets, users can work on their data at full-resolution and in real-time without any special hardware or software. They can also access their data on any device with an Internet connection. "OpenMSI has really been a grassroots effort. 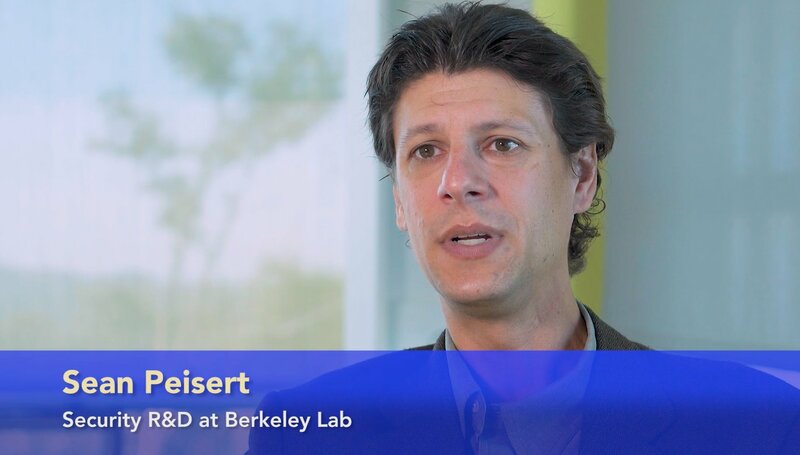 We always believed that OpenMSI would be a transformational technology, so we worked with Berkeley Lab's Innovation and Partnerships Office early on to protect the Lab's intellectual property," says Ruebel. "This licensing agreement is certainly a great achievement towards achieving our vision of transforming mass spectrometry imaging research and applications through computing, but we still have a ways to go to fulfill our vision and to fully develop OpenMSI and achieve broad adoption," adds Bowen. ImaBiotech is a contract research organization that offers services in mass spectrometry imaging. Headquartered in Lille, France, the company also develops and implements new imaging technologies. Openings for a research scientist, a CSE and a postdoc with expertise on scientific imaging, computer vision and machine learning algorithm development to perform pattern recognition applied to problems in material sciences, such as characterization of new composites and films for microelectronics. 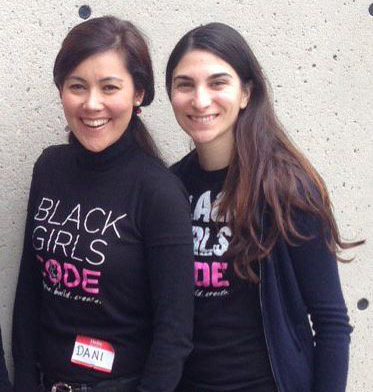 Last month, Dani Ushizima from the DST department (left) and Laleh Cote (Workforce Development & Education) joined forces with Black Girls CODE to support 214 girls of color (ages 7-17) at the Robot Expo. The girls participated in hands-on activities on robotics, heard from from STEM professionals, and learned about applications and uses for robots. ESnet and the Corporation for Education Network Initiatives in California (CENIC) recently announced a partnership in developing cybersecurity strategy and research. CENIC is a nonprofit organization that operates the California Research & Education Network (CalREN), a high-capacity network with over 20 million users. Sean Peisert of the Computational Research Division will be director of the new CENIC/ESnet Joint Cybersecurity Initiative. Peisert, who was also recently named as the chief cybersecurity strategist for CENIC, has worked extensively in computer security research and development. He will continue his work at Berkeley Lab and as an adjunct faculty member of the University of California at Davis.